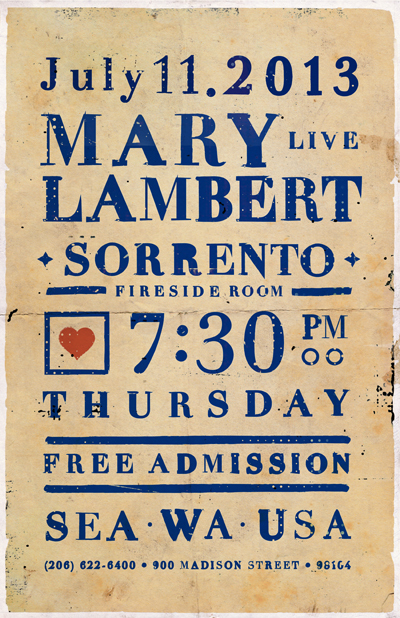 For our most recent Mary Lambert design, we created the poster above for her show in July at Seattle's historic Sorrento Hotel in the Fireside Room. FYM hopes you can make it out to either of these shows. It will be a rare treat to see such a talented artist LIVE + FREE admission. Cheers, FYM.